New design, same old (incorrect) message. First, the design. I like it. It’s simple and much easier to understand than the old pyramid. It’s also eye-catching. It looks very modern and should attract more attention. Secondly, fruits and veggies make up half of the new plate meaning that, essentially, half of your diet should be made up of fruits and vegetables. I could not agree more. When I make a meal I always include fruits and vegetables and I strive to have half of my plate at each meal filled with brightly colored fruits and/or vegetables. That’s it. 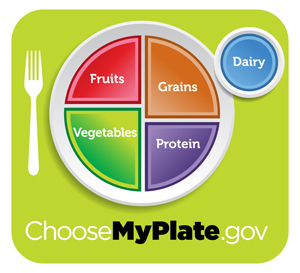 That’s all I like about this new “MyPlate” setup from the USDA. Here is what I don’t like. First and foremost there is no area for healthy fats on this plate. None! That is a major disservice to the American public. Every single cell in the entire body has fat in it. Fat is necessary and essential to life. If we don’t consume fat, we die. Period! Additionally we know that omega-3 fats from nuts, seeds and fish are exceptionally important for maintaining cardiovascular health. These are only briefly mentioned when you click on the protein section of the new plate. There is also an “oils” section on the main website (www.choosemyplate.gov) that explains a little about oils and their properties. My point is that the new “MyPlate” design is intended to be something that people can look at quickly and get a gross idea of how they should be eating. When people glance and this plate they will infer that they shouldn’t eat any fat and that’s a major problem. People should consume fat and they need to consume fat. My second major problem is that grains are still too dominant in this design. Yes, they stress whole grains, but they say that you only need to make half (HALF!) of your grains from whole sources. I would never encourage my patients to eat any refined grain on a regular basis, let alone half of their grains on a daily basis! In my opinion, grains should be a very small of the diet, even if they are whole grains. They don’t need to be eliminated from the diet, but they should never make up a full quarter of what you eat. A diet high in grain leads to many problems such as inflammation and heart disease. 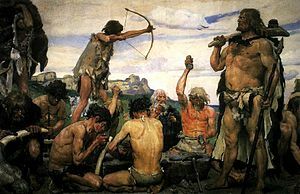 Human beings should consume a paleolithic type diet. Unfortunately, despite the new design, this is still the same old information regurgitated based on science that is decades old. The USDA needs to get with the times and reduce the grain recommendations and increase the healthy fat recommendations. 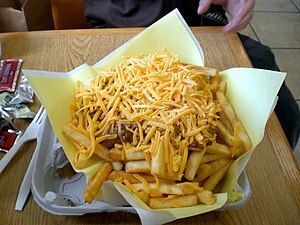 Until they do that I fear Americans will continue to lead the world in obesity. Diet crazes come and go. A quick search of the internet and you’ll see a bunch of them. There’s the all-cookie diet, the one day diet, the three day diet, the Hollywood diet, the lemonade diet, the cabbage soup diet and many more. The point is, most of them are not based on anything scientific other than the fact that significantly lowering calories generally results in weight loss. While that might be true, it does not mean it’s healthy. The diet that I routinely recommend to my patients is the paleolithic diet. This is not a ‘diet’ in the way that most people think about a diet. This is not designed specifically as a way to lose weight. However, if you are overweight eating this way will likely help you lose weight. I like to use the word ‘diet’ by its most simple definition – food and drink considered in terms of its qualities, composition, and its effects on health. Think of the word diet simply as the type of food you put in your mouth. Don’t think of diet as something people do when they want to lose weight. The paleolithic era in human history began about 2.5 million years ago and ended about 10,000 years ago with the development of agriculture. Over that period human beings evolved with a very specific diet. Up until 10,000 years ago humans were hunter gatherers. They moved with the herds of animals and ate a diet high in animal protein and vegetables and fruit. Grains were nonexistent in their diets because the farming techniques did not exist to grow and process grain. So what does this have to do with you? Our genetic code has changed very little (if at all) since the end of the paleolithic era, yet our diets have changed substantially. Our bodies were designed to process meats, vegetables and fruits in high amounts. They were not designed to process grains in high amounts. Current dietary recommendations in which people ‘should get 6-10 servings of whole grains per day’ is in direct conflict with how we’ve evolved over the last 2 million plus years. Diets high in grain products lead to many health concerns including high triglycerides in the blood and diabetes. You must consider what our ancestors consumed and how that drove natural selection. Prehistoric humans at a diet consisting of lots of protein, fruits and vegetables and virtually no grain. This drove evolution and genes were selected or deleted from the genetic code based on this type of diet and what traits were most advantageous for survival. The ability to process high amounts of carbohydrate is not an ability that was likely to be selected and passed from offspring to offspring because it was not essential. Today, unfortunately, we have a food guide pyramid that flies in the face of evolution and recommends too much carbohydrate and not enough protein and fat. 1. Eat lots and lots of vegetables. 3. Eat as many nuts and seeds as you want. 4. Keep dairy products to a small part of the diet, but yogurt and/or cottage cheese daily is okay. If you choose to consume milk make it raw milk. 5. Salt your food to taste, but do not eat processed foods as they are extremely high in salt. 6. Have protein at every meal – eggs, steak, pork, fish, chicken, turkey, buffalo, alligator, ostrich, whatever – it’s all good. 7. Eat regularly – eat every 3 hours. Remember, even if you’re not exercising your brain requires tons of energy and in a constant supply. Your brain consumes energy at a rate that is equal to that of the energy used by a human leg muscle running a marathon! 8. Exercise! The importance of regular exercise cannot be over stated. Our ancestors moved constantly! You must move! If you follow these rules, you will have a healthy life free of the diseases of modern civilization such as diabetes and heart disease. You might just lose a little weight as well! Even the ancient Egyptians had heart disease. I’m not sure why this is such a surprise, but the researchers who conducted the study seemed to be very surprised. Traditional medical thinking on heart disease goes like this; heart disease is caused by eating too much fat, mainly from meat, and a sedentary lifestyle. That’s basically it. Yes, there are other risk factors to take into consideration like smoking, high blood pressure, diabetes, etc, but talk to your average medical doctor and they will tell you that eating high levels of animal fat coupled with too much TV is a recipe for disaster. I couldn’t disagree more and this new study confirms my thoughts. I agree that lack of exercise is a big issue with heart health. That one is not debatable. I also agree that smoking, high blood pressure and diabetes are big players. I disagree that eating too much animal fat is a problem. Dr. Greg Thomas is part of a team of scientists that recently discovered the earliest known case of atherosclerosis — clogged arteries — in ancient Egyptian mummies. According to scientists the ancient Egyptians had access to meat, but not a lot of it. Their diet consisted mainly of fruits, vegetables and grain. Perhaps the problem isn’t meat. I would contend that a diet high in grains, as is the case with the pharaohs, could lead to atherosclerosis. Grains are high in the inflammatory group of fatty acids called omega-6. Meats are also high in omega-6s. The difference? When grains are consumed the hormone insulin is secreted which funnels all of the omega-6s in that meal into a very potent pro-inflammatory pathway. It is this inflammation that leads to heart disease. When one consumes animal fat no insulin is secreted thereby allowing those omega-6s to actually be driven into a protective and anti-inflammatory pathway. I also have a problem with the assumption that a princess in ancient Egypt was not sedentary. If you look throughout history, the upper class has been historically, well, lazy. They’ve had slaves, servants and serfs to do everything for them. The combination of low activity levels and a diet high in grain leads people to be unhealthy. A person does not need to be overweight to be unhealthy either. There are plenty of people in this country who are considered to be ‘healthy’ in terms of body weight but are actually not very healthy at all. In my opinion, the fact that an ancient Egyptian princess had atherosclerosis is not earth shattering. Human physiology has not changed over the last 2,000+ years. A diet that is high in grains, whole or otherwise, will lead to a pro-inflammatory state. This pro-inflammatory state will lead to heart disease, cancer and Alzheimer’s to name a few. If you want to avoid heart disease, or any other inflammatory disease for that matter, make sure grains are a smaller part of your diet. Get your carbohydrates from fruits like berries and eat plenty of vegetables. Make sure you consume plenty of protein as well. Eat the diet of our ancestors from 10,000 years ago not 2,000. That’s before human beings learned to cultivate grain, mill it and refine it. Once that happened, as was the case in ancient Egypt, inflammatory diseases began to rise including atherosclerosis. 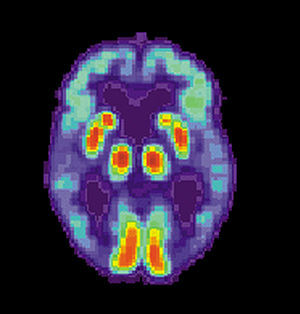 New genes have been discovered that seem to be linked to Alzheimer’s Disease (AD). AD currently affects over 5 million Americans and that number is expected to increase substantially by the year 2029. This year the first baby boomers will reach their 65th birthdays. By 2029, all baby boomers will be at least 65 years old. Ninety-five percent of all AD is in people 65 and older. The discovery of new genes linked to AD is a step in the right direction. Every bit of information that help scientists unlock the mystery of why this occurs puts us closer to being able to effectively treat AD. Let’s pretend that we know every gene that is involved in the production of AD. Let’s also pretend a test that exists to specifically detect all of these genes in you. Would you want to find out? What would you do if you had all of the genes linked to AD? The truth of it is, there is nothing you could do to change your genes. Your genes are your genes. They are there and you can’t remove them. What you can do, however, is change how they are expressed. Just because a person has a specific gene does not mean it has to be expressed. The expression of many of our genes is closely related to our environment. Diet, exercise, smoking, pollution and stress are just a few things that can negatively or positively affect the expression of our genes. So back to my first question. What would you do if you had all the genes linked to AD? You can’t change your genes, but you can change your risk factors. There are many known risk factor that increase the risk of AD, independent of your genetic potential. The number one risk is aging. Unfortunately, there isn’t much that can be done about that. We are all going to get older which is not necessarily a bad thing. It is much better than the alternative! You will notice that these risk factors significantly overlap with one another. You will also notice that when you control one risk factor you will impact another. If you can control these risk factors in your life you will significantly reduce your risk of developing AD regardless of your genetic potential. Cardiovascular health is perhaps the most important. Cardiovascular disease causes a chronic, low grade reduction in blood delivery to the brain. This is known as hypoperfusion. This hypoperfusion is responsible for protein synthesis defects that later result in the classic AD neurodegenerative lesions. To keep your cardiovascular system as healthy as possible make sure you eat an anti-inflammatory diet and exercise. Fish oil is also something you should consider. Fish oil, which contains omega-3 fatty acids, has been shown to reduce cardiovascular disease mortality better than any other substance known. Reduction of high blood pressure is also very important. When blood pressure is too high it fuels a kind of scarring linked to later development of Alzheimer’s disease and other dementias. Controlling your blood pressure is actually very simple. You must maintain a healthy weight first and foremost. This, of course, means diet and exercise. Increasing waistlines mean more tissue and blood vessels for your heart to push blood through. This puts a strain on the heart and increases the resistance the heart must push against. Keeping a healthy cholesterol profile is essential. However, the traditional tests from your doctor are probably not enough to tell whether you are at risk or not. Traditional tests examine total cholesterol, HDL (“good”), LDL (“bad”) and triglycerides. These are of some value, but they don’t tell the whole story. What you must find out is the particle size. In a nut shell, large and buoyant molecules of cholesterol are not as problematic as small and dense particles. Your traditional test does not distinguish between the two. Your traditional test might look very good, but a more advanced test may show that you are still very much at risk. See my blog entry from last summer for more detailed information. Diabetes is also extremely important to control. Some references are referring to Alzheimer’s as Type III diabetes because of the biochemical similarities. Even being borderline diabetic raises the risk of developing Alzheimer’s or dementia by 70%! Diabetes’ hallmark is high blood sugar. This high blood sugar leads to a phenomenon called advanced glycation end products or AGEs. AGEs adversely affect the structure and function of proteins. In combination with oxidative stress brain function is easily affected. Advanced glycation end products have been found to be much more prevalent in the brains of Alzheimer’s patients than in healthy controls. This process begins early on in the course of Alzheimer’s and there is also evidence that AGEs assist in the formation of plaques seen in AD. Diet and exercise are the best ways to prevent diabetes and reduce your risk of AD. While the study for a purely genetic link to AD will continue, a cure is likely many years away if one can even be found. What we can control, however, are our lifestyle choices that activate our genes. If we choose poorly, we are much more likely to activate unfavorable genes that cause disease. If we choose wisely, we are more likely to activate genes that are favorable and reduce our risk of further disease. The choice is yours. Make the right one.